Does my tank need RO Water to be successful? How often should I change my RO filters? Warning about changing RO Membrane filter! Is RODI Water too clean for aquariums? How much water do RO Systems waste? Is RO waste water good for plants? 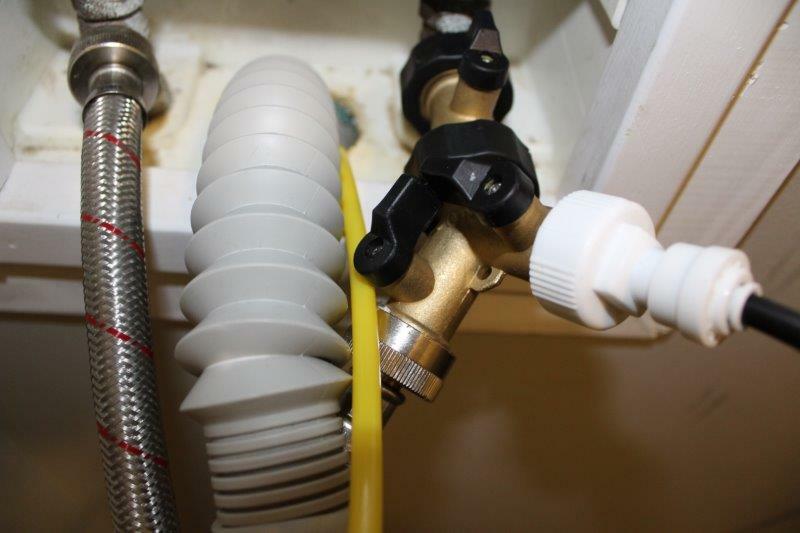 How can I resuse my RO waste water so it is not wasted? Should I buy RODI water for my tank? How long does it take to make RO water? Reverse Osmosis often referred to as RODI (Reverse Osmosis Deionization) is a process by which water is forced under high pressure through a filtration medium to remove unwanted particles. 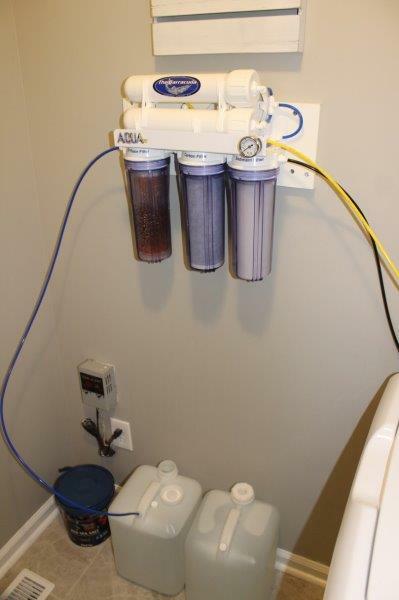 The water that comes out of an RO system is highly purified and free of salts, particulates, organisms, and any most other nasties that may be hiding in your water. In general RO filtration works because the water is pushed through a filter membrane with extremely small holes. These holes allow very small particles like water to pass through while blocking larger particles like salts, iron, lead, silicate, chemicals, etc. Because these RO Filter Membranes have such small holes, they can become clogged very easily. To extend the life cycle of the membrane most RO systems employ additional methods of filtration to pre-filter the water before it is pushed through the RO Membrane. Most RO system are boasted as 3 stage, 4 stage, 6 stage, etc. This simply means it has multiple phases of filtration most of which are pre-filters. Typically these stages are arranged in an order as to filter out largest to smallest. Meaning a basic fabric like material is used to pull out large dirt particles. Next may be a finer material to get even smaller particulates from the water. Finally activated carbon is used to pull out chemical compounds including chlorine, radon, benzene, and manmade chemicals like pesticides. 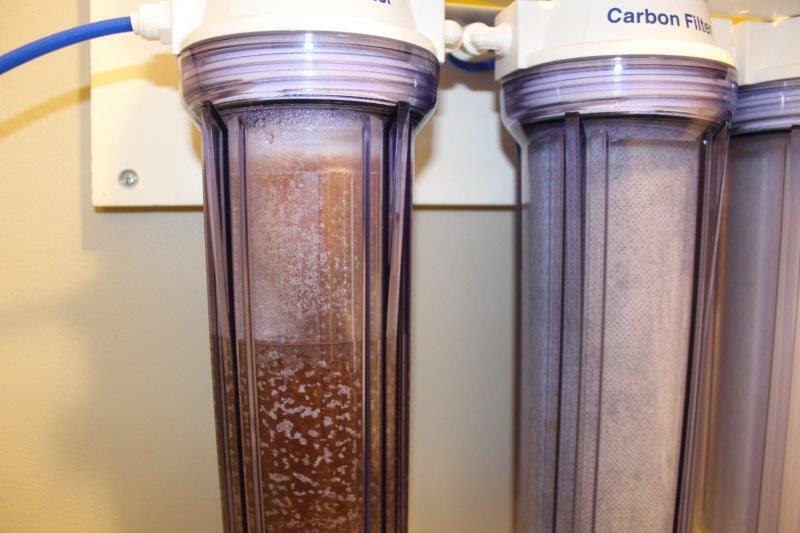 As the water runs through the filtration process it is split into clean water and dirty water. The dirty water is simply the run off with high concentration of the items removed from the clean water. This depends solely on how often you use your filtration system. The average hobbyist will need to change their pre filters at least once per year. 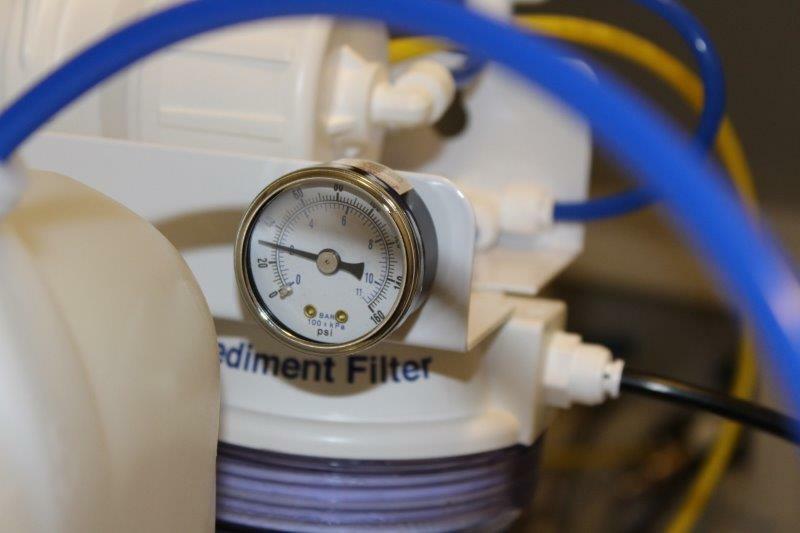 Keeping the pre-filters properly changed will increase the life of your RO membrane. If done correctly this membrane can last 2 to 3 years. Keep in mind if you are only making 20 gallons of water a month you can expect your filters to last much longer than this. If you are making hundreds of gallons a month you should shorten it. In speaking with a local reef store I found out they actually change their pre-filters weekly. They are also selling RO by the 5 gallon jug and using it to maintain all their tanks. 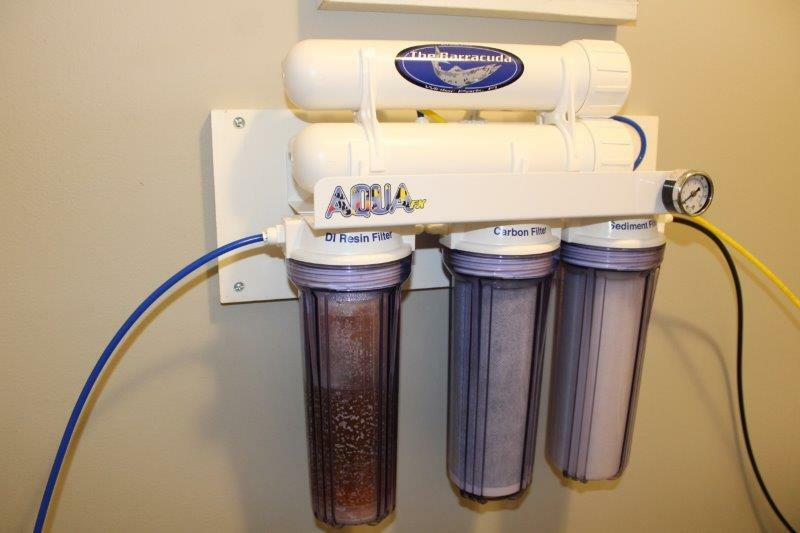 Many systems like the AquaFX Barracuda I use have a color changing deionization filter. This filter will tell you when it needs to be changed. This can be used as a guide for changing all the other pre-filters as well. The good news is that most manufacturers will sell them in bundles like this one from AquaFX. When you first setup your RODI system the instructions will tell you to install all filters except the DI filter. With all the other filters installed you are to make about 5-10 gallons of filtered water. This is so that the preservatives used to keep the RO Membrane good can be washed off. These preservatives can reduce 40-60% of the DI filters lifespan. Make sure you wash these preservatives off your brand new RO Membrane by running 5-10 gallons through the system before running the DI Membrane. Is RODI water to clean for aquariums? Fish, plant, corals, shrimp, and really anything else that lives in your tank can not live long term in pure RODI water. This is because they do pull nutrients from the water that they need to live. The RODI filtration will on top of removing things you do not want in the water, it will also remove some things you do want. The good news is that RODI gives you a clean slate to work with where you can better control what is in the water and volumes it appears. In salt water tanks mixing your salt with RODI will add in the basic needed salts and minerals with more specific additives for calcium, alkalinity, and magnesium being available. 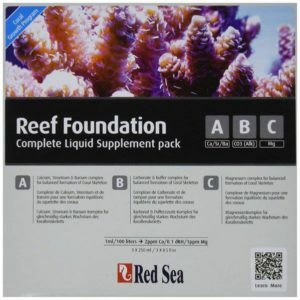 Even if you were not using RODI for a reef tank most of these additives would be needed in some degree to sustain coral growth. I am a fan of the Red Sea foundations line of additives for the reef tank. In a fresh water or planted tank you really are not adding back in any salt mixture with your water changes so there is no base additive getting mixed back in. This is why many people say not to use RODI in freshwater. The truth is though that in lots of cases the chemicals and particulates in your faucet water is no good for your tank. Using and additive like Seachems Equilibrium or Aquavitros mineralize with RODI will give you the best water for your fresh water tanks. Both of these recommended fresh water additives will need to be used to treat the full tank initially to get the General Hardness levels where they should be and will then be maintained by adding this to the RODI water before all water changes. As water moves through the filtration system some water is flushed out and with it the concentration of unwanted items it removed from the product water or clean water. Each system will be different and you should refer to the manufacturer’s documentation for how much waste water is produced for each gallon of clean water generated. My system has a 4:1 ratio; for every gallon of clean water it produces there are 4 gallons of waste water produced as well. From what I have seen a 4:1 ratio is fairly standard. As filters age and dirty this will increase too. You don’t have to flush this waste water though. It isn’t bad water it is just highly concentrated with minerals and chemicals that are already in the water you wash with, cook with, and clean with. I like to drain my waste water into the washing machine and use it to wash all my dirty filter socks. So long as your standard tap water you are feeding into your system is not bad for plants then no neither would the waste water from your RO system. 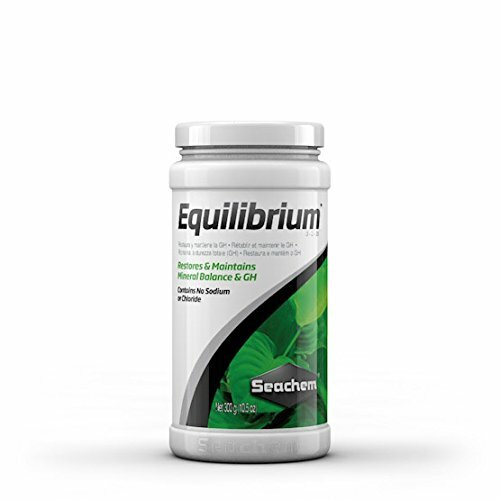 It simply has a higher concentration of minerals and chemicals. Think of it this way if you make 1 gallon of RO and have 4 gallons of waste water; each gallon of waste water has 1.25 times the minerals in it. So, watering a plant with 1 gallon of waste water gives it the same minerals if you had watered it with 1.25 gallons from the faucet. If you are able to collect the waste water there are many things you can use/reuse it fir so that it, and more importantly the money you paid for it, does not go to waste. The most important thing to remember is that just because it is waste water from your RO system doesn’t mean it is dirty water. If you put 5 gallons of water from your faucet in your sink or 4 gallons of RO waste water you still have all the same stuff. And for some tasks that really doesn’t matter. Here is a list of several things you can use it for. In my experience the time it takes to make RO water varies dependent on your water pressure or PSI. This is why it is good to make sure your system has a PSI gauge installed on it. The PSI will also fluctuate as you use water fixtures like toilets, sinks, and washing machines. With my AquaFX Barracuda I have made 5 gallons in anywhere from 45 minutes to as much as 1.5 hours. This system is rated at 200 gallons per day. Based on these numbers you can see that I am not pushing this system anywhere near its max PSI capability. The most I have seen my house push into the system is about 40 and I have seen it as low as 25. It averages somewhere in the 30s normally. Your output will be dependent on the PSI your house can push through the RO System. I have installed my RO System in the laundry room. This is probably one of the most convenient places to install a system unless you have a fish room in your basement with sumps and returns running back up to the main floor and what not. Hey if you are reading this article you have seen those videos on YouTube. And yes we all dream of that. Sorry back on track now…. 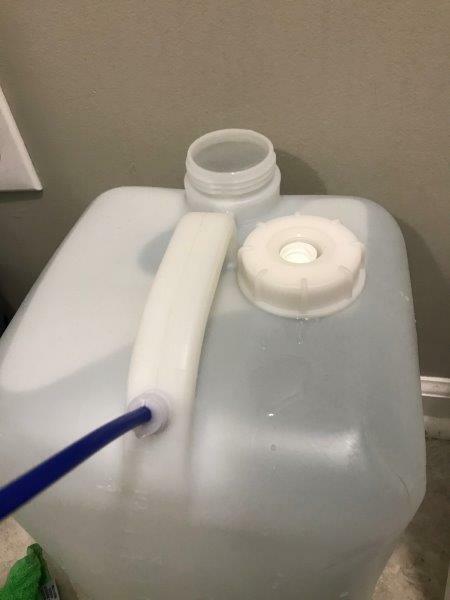 When I make water I make it right into my 5 gallon water jugs so I can store them until I need to swap them in for the auto top off. And if I need to mix up water changes I pull in a big 30 gallon brute trash can that I keep outside normally. When filling a container like a 5 gallon water jug… or a bucket… or a small trash can. 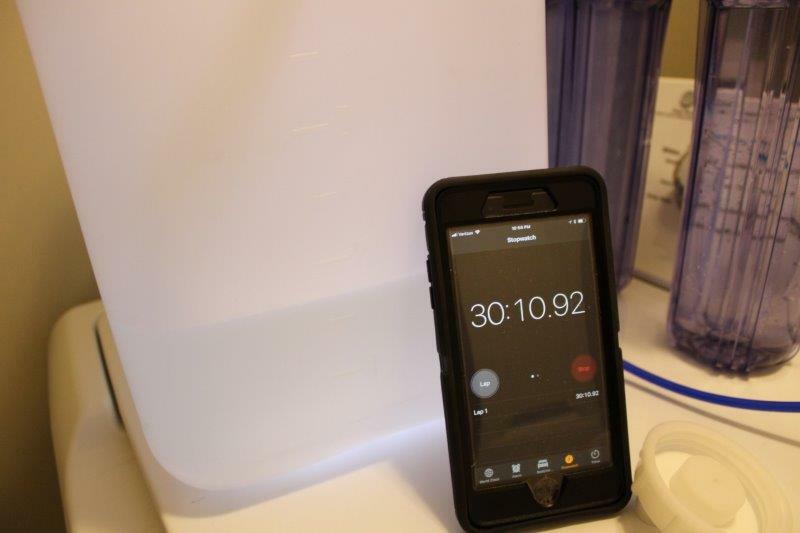 Set a timer so you know to go cut off the water feeding into the RO System. I cannot tell you how many times I have flooded a few gallons of water into my laundry room floor. I mean I have done it enough to have gotten good at lifting the washer with one hand and wiping a towel under it with the other. The time it takes to make the water varies based on your average PSI while it is being made. Drop your timer by 10 minutes of what you think it will take. So if it should take an hour to fill up the jug, set your timer for 50 minutes. 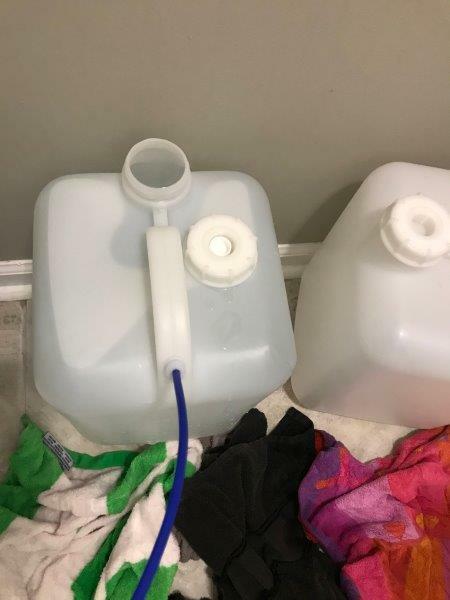 To be safe put a towel around the bottom of your jug, or better yet sit your jug inside a bigger container. Ok the second one could be overkill. Just remember this happens, don’t beat yourself up, just remember not to start the RO Unit and leave the house. Whether you buy RODI water by the gallon or install a system and make your own, you are going to have much better results with RO water than without it. Think of it like your body, if you put bad drinks in your body your body will look and feel bad. When you put good drinks in your body it will look and feel better. Your fish tank is no different. 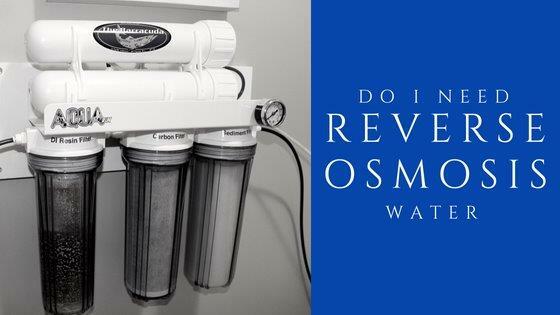 Is there anything else people should know about Reverse Osmosis Water? Let us know in the comments below.